In other words, the Act stops local governments from enacting higher minimum wage ordinances and mandatory sick leave laws, a trend that has swept the United States. Currently 13 cities in New Jersey have their own sick leave laws with 7 cities in California with sick leave laws. Cook County Illinois passed a sick leave law last year. It followed a separate law in Chicago, inside Cook County, which has separate provisions. In the meantime over a dozen towns have opted out of the countywide law, leaving a checkerboard of minimum wage and sick leave requirements. Other states have faced similar situations with towns and counties passing laws that leave employers shouldering much larger administrative costs to avoid multiple sick leave and minimum wage requirements. When an employer is based either in multiple locations, or has employees that perform work in more than 1 location, a smattering of sick leave and minimum wage laws leaves that employer keeping multiple records. The business has to track when and how often employees are in certain areas, track separate pay for separate areas, and manage various accrual rates for sick leave. Employers have to spend time and money to investigate and understand the various laws, revise employment policies and educate management. All of this can take away from productivity because every additional requirement can create confusion for employees and management alike. In addition to all of those administrative costs, most of the local ordinances are written with the assumed guilt and burden of proof on the employer and come with very costly fines and penalties. Although a business may be compliant with various employment regulations, if they are missing pieces of information or records, that business is often assumed guilty by law. Ironically, many of the local ordinances fail to specify exactly which pieces of information and records businesses must keep. This keeps owners and managers scrambling to maintain a “best guess” record keeping system to stay compliant. All of that additional cost is in addition to the cost of the actual benefits required by law. Specifically the preemptive law prevents two main types of employment laws. First, it prevents any minimum wage hikes on a local level. The state’s current minimum wage is set at the federal rate of $7.25 an hour. Secondly, the law prevents any local mandatory vacation or sick leave laws. This includes both paid and unpaid sick leave laws. The new law ensures that across the State of Mississippi, employment benefit laws will remain consistent. However, it does not mean that the state won’t enact a higher minimum wage or sick leave law on the state level. Many other states such as Arizona and Oregon have passed preemptive sick leave laws and followed with statewide requirements. Meanwhile Indiana and Oklahoma, both of which have preemptive sick leave laws, are considering several statewide bills this year. Although Mississippi doesn’t have its own sick leave laws, the Federal Family and Medical Leave Act (FMLA) affects all Mississippi employers with 50 or more employees. FMLA provides unpaid, but protected time off for serious health conditions. In addition to the benefits provided by FMLA for employees to care for a family member or bond with a new child, employees can take time for their own medical care. That medical care includes protected time eoff if the employee is hospitalized overnight, has any type of chronic health condition such as asthma, needs diabetes or other illnesses. Employees can also take time for other chronic conditions that would result in more days off if left untreated such as for chemotherapy, dialysis, or physical therapy. Further, employees can take FMLA for any sickness that leaves them unable to work for at least 3 days or more. In other words, FMLA provides employees with protected leave for sickness, illness, and injury that are above the minor sicknesses of the common cold or 24 hour flu. 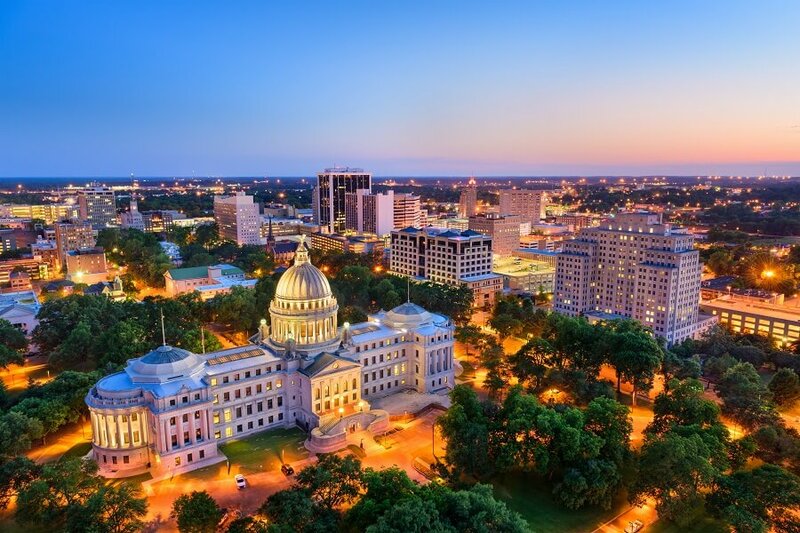 Although employers in Mississippi don’t need to currently worry about either local or statewide sick leave and minimum wage laws, these businesses still have to also comply with Federal Overtime Laws, the Family Medical Leave Act and any other national laws that are enacted. Further, research has found that employers who maintain automated records and timekeeping systems save themselves money on buddy punching, manipulated or lost records and other common issues.